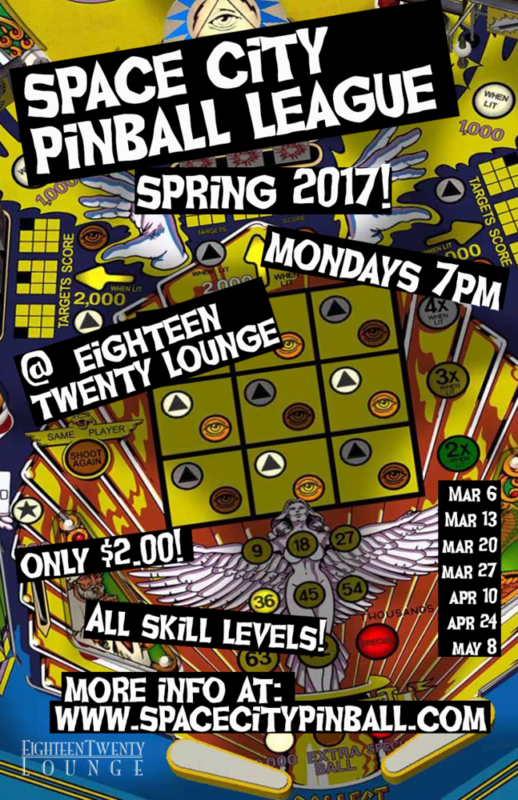 The Space City Pinball League returns for 5th Season! The best beer league in Houston will be returning for its 5th season at the Eighteen Twenty Lounge on March 6. There will be a 7 week season, followed by finals.